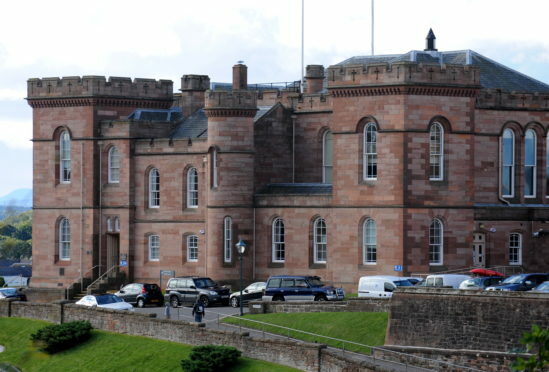 A row over a noisy neighbour resulted in a 23-year-old Inverness man being pushed down stairs in homeless accommodation, Inverness Sheriff Court was told yesterday. The incident occurred in the Winmar Guest House in Kenneth Street on November 6 last year and was filmed by the premises’ CCTV. The footage was shown to Sheriff Margaret Neilson who decided to defer sentence on 33-year-old Dawid Grzybek, now of Telford street, until May 8 for a background report to see if there was an alternative to a prison sentence. The court was told that Grzybek phoned in a complaint about noise being made by the other resident whose room was across the landing from his. Officers attended and spoke to both men. But 15 minutes later, Grzybek made another noise complaint and the police returned. But on this occasion, they spoke to other residents who said there was no noise. The camera recorded Grzybek coming out of his room wearing only a pair of shorts and words were exchanged. He pulled the other man to the top of the stairs, pushed him down to the next landing and began pointing aggressively at him. Grzybek’s victim called the police who returned for a third time and arrested him. Mr Wilson told Sheriff Neilson: “He had a job interview the next morning and he was being kept awake by this man, slamming doors and the like.